Address books have always evolved with the pace of information technology. But whether we’re talking about a “little black book,” a Rolodex, or Plaxo and other Internet-based “networked address books,” the core concept has generally been the same. An address book is a list of the people you know, along with whatever contact information you have for them (no matter whether you stapled some business cards to your Rolodex, typed the info in by hand to a spreadsheet or database, or got some of it through permission-based sharing in a network). There’s one other important commonality: who owns the data. Whether it’s stored as ink on paper, bits on a single hard drive, or distributed “in the cloud,” each address book is owned by the person who assembled it. And the owner of the address book can choose to copy it, delete it, or modify it. Indeed, they can, with the right supporting technology, sync it to a variety of tools and services. 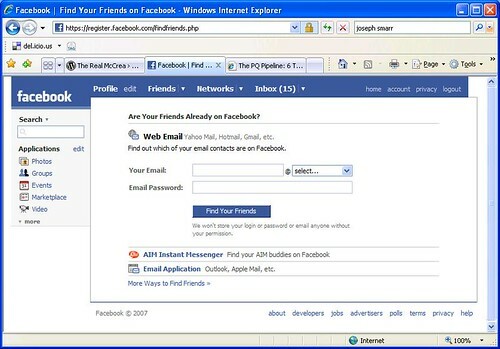 Enter social networks and the notion of a “friends list.” Now, if friends lists were just meaningless, loose, and largely anonymous linkages, as seen in MySpace and other early social networking sites, I wouldn’t be writing this post. But with the rise of Facebook, LinkedIn, and other social networks that are grounded in the real world “social graph,” we see the emergence of a new form of address book. It’s still a list of who you know, and some contact info, but now we have the really dangerous situation of “walled garden” companies claiming that they — not you — own this latest incarnation of your address book. For example, in Facebook, you can upload all your address books (from Gmail, Yahoo! and more) and stitch up a bunch of connections from those contacts, but don’t try to export that address book you’ve built up there. Don’t dare to sync it with Outlook or your Mac address book. And for that matter, don’t even think of trying to do it manually, by cutting and pasting the e-mail addresses, one-by-one, from the list of people you know. Why? Because the e-mail addresses are rendered as images, not text. Access denied. Your address book has now become the captive of a corporation. I am confident that this is an untenable strategy for Facebook. It may take a while for people to realize what is being taken away from them, but they eventually will. How long do you think it will take? If you agree with me, you might be interested in the draft of the Bill of Rights for Users of the Social Web, co-authored by Joseph Smarr, Marc Canter, Robert Scoble, and Michael Arrington. I agree with you totally. Plaxo is a massive step in the right direction with address book syncing between the popular online email services (except GMail because Google haven’t got an API in place – yet) and the most popular standalone email clients (such as Outlook, Thunderbird, etc.). Facebook seem to be slowly moving in the right direction with public profiles, although this (and the proposed introduction of friend groups) may well just be to give people yet another reason to move from other services such as LinkedIn. I personally don’t see them opening up contact details for syncing etc. anytime soon (although I’m prepared to be surprised) as I don’t see it offers them a significant amount of business value. The real value is to be had by other companies who want to utilise this data such as Plaxo and the users themselves who will be in control of their data again. Keep up the good work on the Bill of Rights, this is definitely the direction things should be going in. Facebook’s self-updating nature is really useful though. Seeing as I am going through hundreds of old contacts and trying to update them. I think the competitive barrier of connection ownership will not work in the long-run, it’s got to go back to a better brand and a better product for all of those friends to be on. 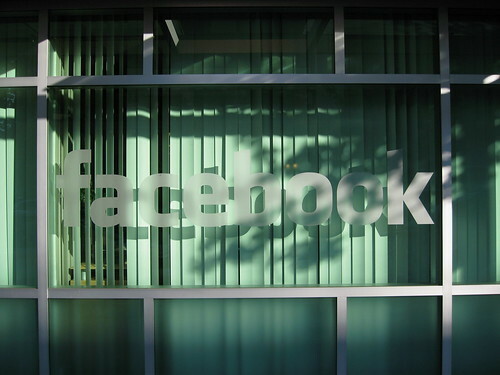 In general, I think data portability will be good for Facebook.